Yuno Gasai – Crimson Otaku's Anime Blog. Two guys talking anime on the Internet! *WARNING! 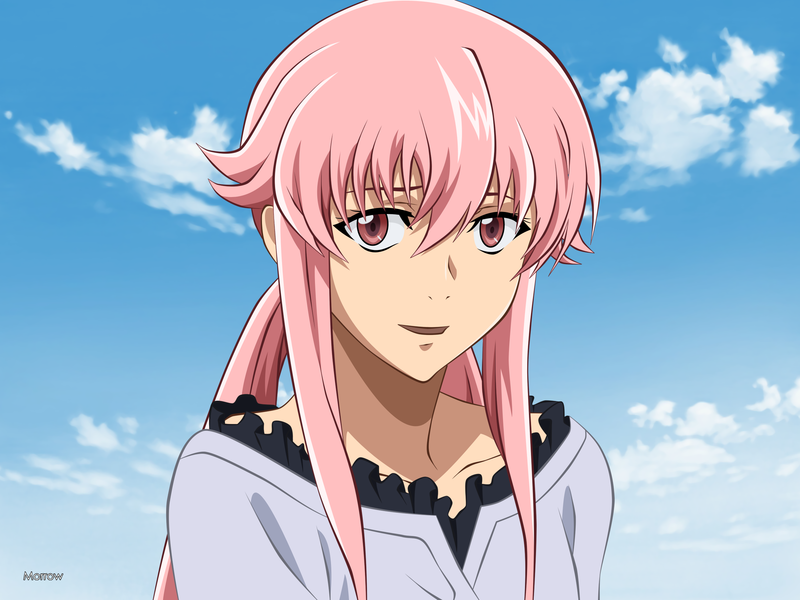 THIS POST MAY HAVE MINOR SPOILERS FOR MIRAI NIKKI, I HAVE TRIES TO REFRAIN FROM USING SPOILERS BUT I CANNOT BE 100% SURE SO I HAVE WARNED YOU NOW JUST IN-CASE. This anime is centered around Yukiteru Amano or Yuki for short who is a 14-year-old middle school who is always alone spending most of his time writing in he’s phone diary. One day when he is talking to his imaginary friend, Deus Ex Machina who is the god of time and space, Deus gives Yuki the power to tell the future by looking at his diary entries. Yuki then find out that he’s now participating in a survival game with twelve other people to determine who will succeed Dues and become the new god of time and space. 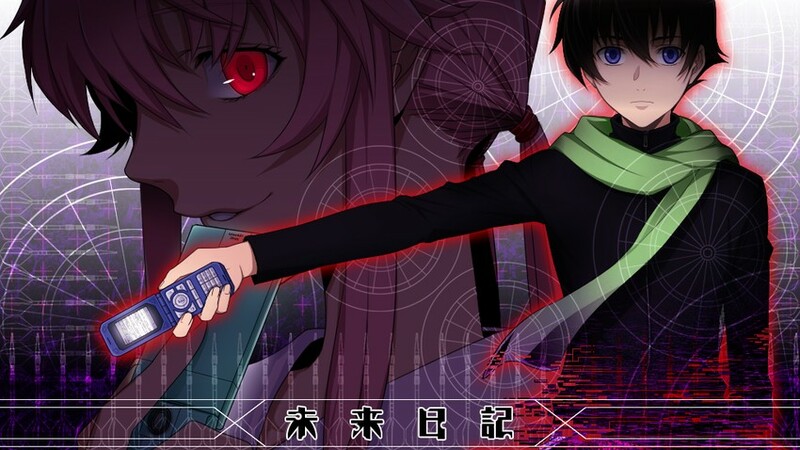 He finds that he’s going to do this alone as a mysterious girl say that she will help Yuki win the survival game. Yuki is the protagonist of the anime and he has the Random Diary which can give him future or present details about he’s surrounding. 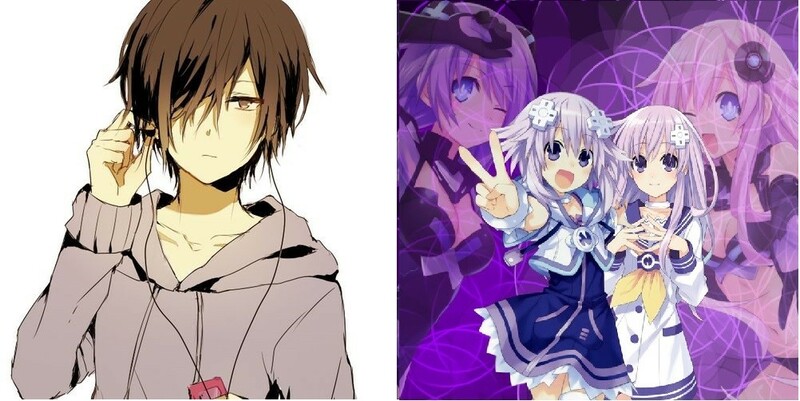 As for Yuki personality lonely,weak,scared and doesn’t want to kill anyone or become the god of time and space, but as the anime goes on he becomes the complete opposite a stronger character willing to kill and wanting to become god. When it comes to fighting Yuki mostly stays back an lets yuno take care of it but he will join in and help yuno some of the time. 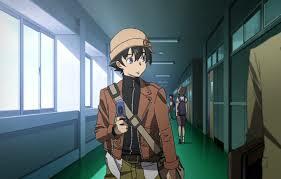 Yuno is another dairy user and wants to help Yuki win the game. she uses the Yukiteru Diary which tell her what Yuki is doing ever ten minutes. As for her personality she is Smart and polite girl but this is just a fake personality for she is actually Yandere and can get jealous when Yuki is around other people she continuously stalks Yuki and will even go as far to break in to he’s house. when it comes to fighting Yuno is the one who does most of fighting she uses a knife and it very skilled even being able to deflect knifes being thrown at her. This anime is defiantly something I would recommend you to watch as long as you not offended by violence and gore or if you’re not in to thing with a story. When it comes down to it most of it done well it keeps you hooked on the story you’re wondering who are they going to fight next what can there diary do and how are they going to over come it. This anime has good but sad ending to it I’m not going to go into to detail but there are somethings that didn’t get which had me thinking why could you have not done it this way and everyone would be happy but it didn’t detract from the ending. With the character it’s not just here are the people that Yuki is going to fighting everyone gets good development you actually get to know about their feeling their past and why each one wants to become god. There are also some bit that made me laugh mostly Yuno being Yandere but they don’t conflict with the serious parts of the anime. the fight scenes are average with nothing to over the top because no one has any power except Yuno’s knife skill. When I watched this I watch in sub and I do know there is a dub going to be coming out but I would recommend watching it in subs than waiting for the dub and to be honest I don’t think the dub will be all that good. I will give this anime 10 out 10 because I usually don’t get that much enjoyment out of thing like this but this show really griped me and surpassed my expectation for it but this is just my opinion and you would have to check it out for yourself but I really do recommend watching it.